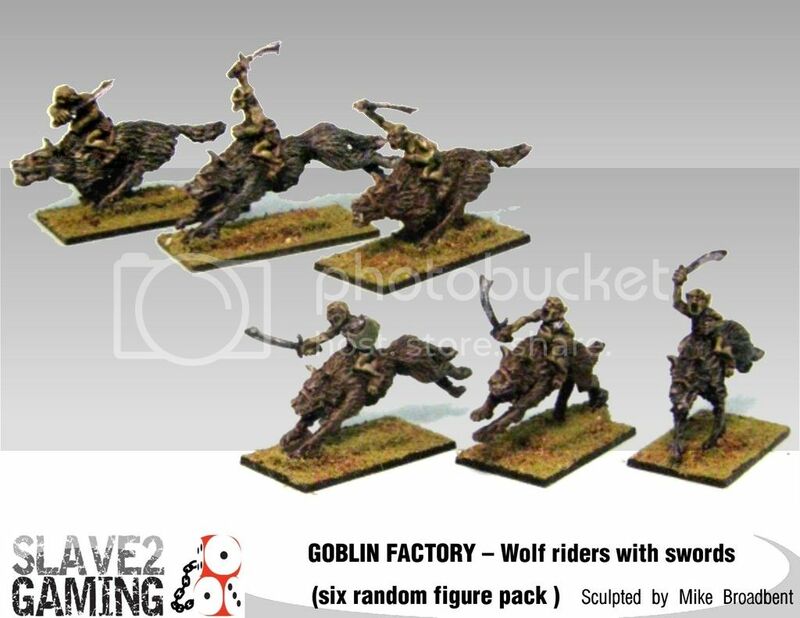 I just thought I'd introduce our little business, we are Slave 2 Gaming, a small independent miniature making business situated here in Australia. 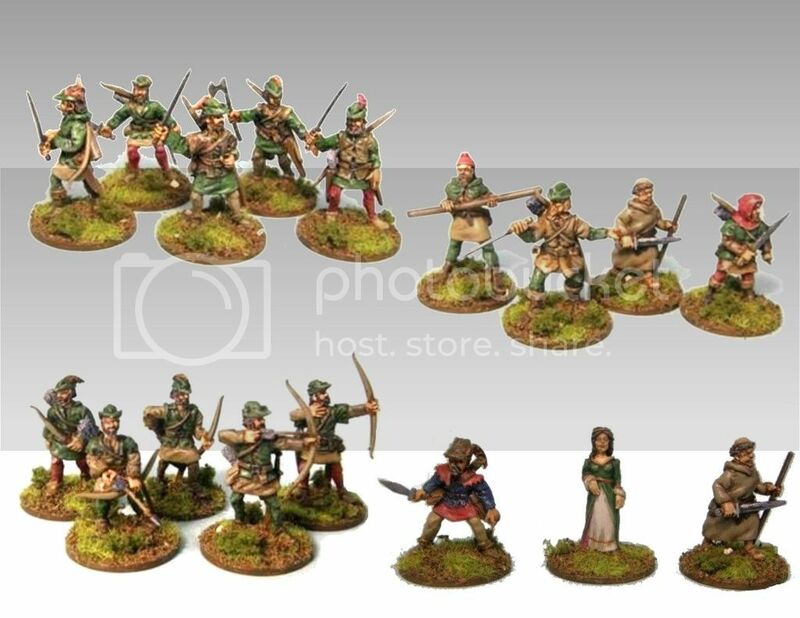 We currently sell a unique range of predominantly 18mm and 28mm figures, mostly designed and sculpted by Mike Broadbent. 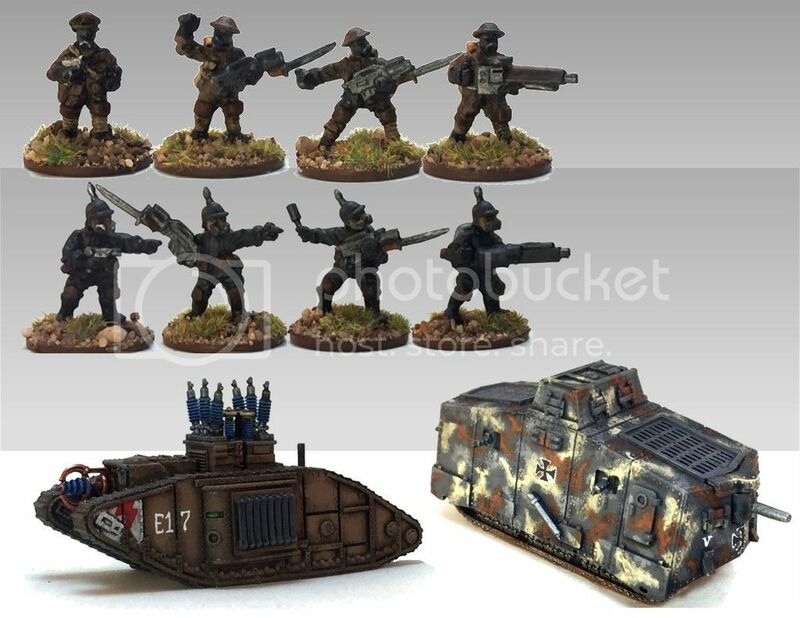 We have chosen to focus mainly on our 18mm Dark World War range, which is an alternate World War 1 setting. There are plans for a rules system and there is a huge amount of background information already in place for this setting. 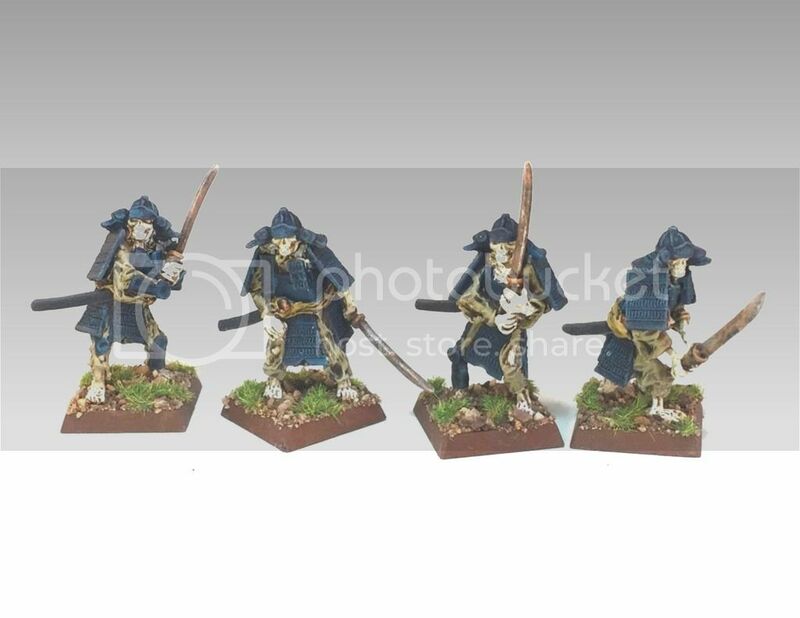 We also have a good range of 28mm fantasy; including our Skeletal Samurai, Men of Sherwood and soon to be re-released "Goblin Factory range of Goblins and Halflings. 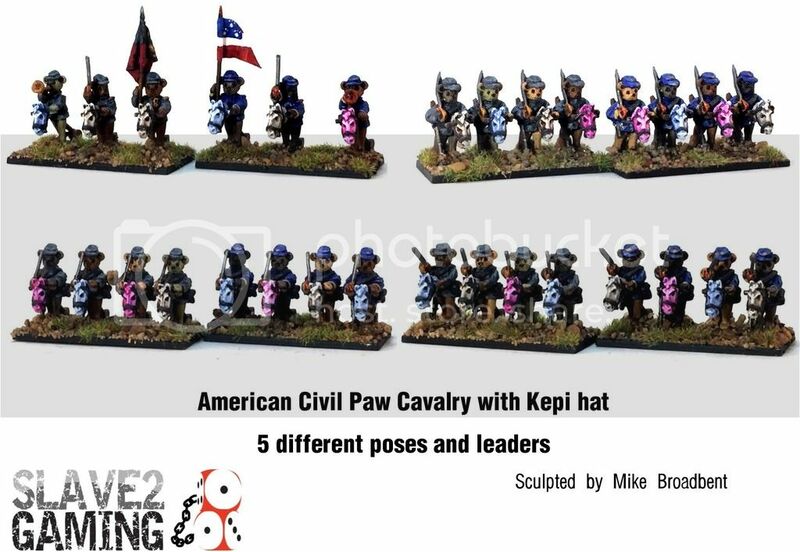 There are also some 28mm Cavemen and Aliens that are very cool, with the Aliens sitting into a very retro feel for Aliens. I know that our range doesn't really fit into the Tac coms size ranges, but I know that a few people on here play other systems and I thought that it might be nice to share this stuff on here too. Please dont hold that against us! 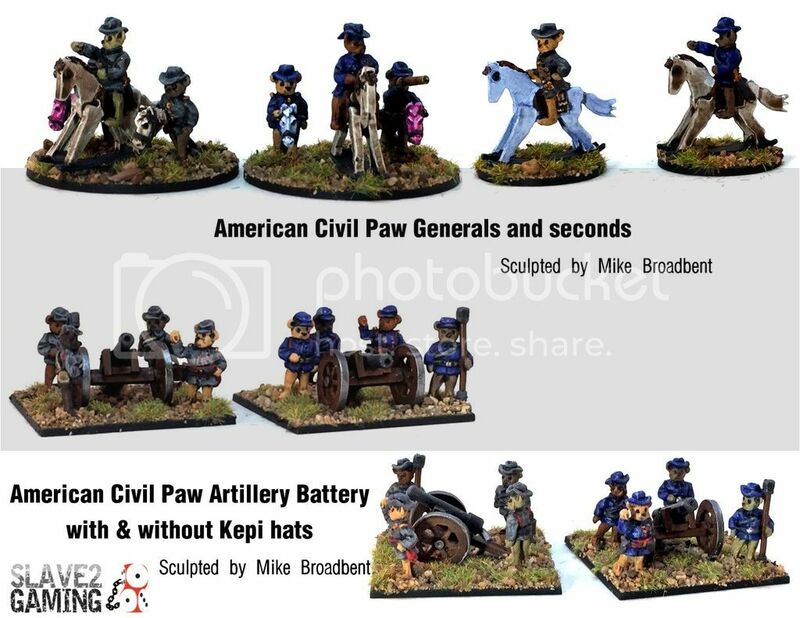 Looks like a nice range of minis. I've shown them almost everywhere else, thought you guys might be interested as well. 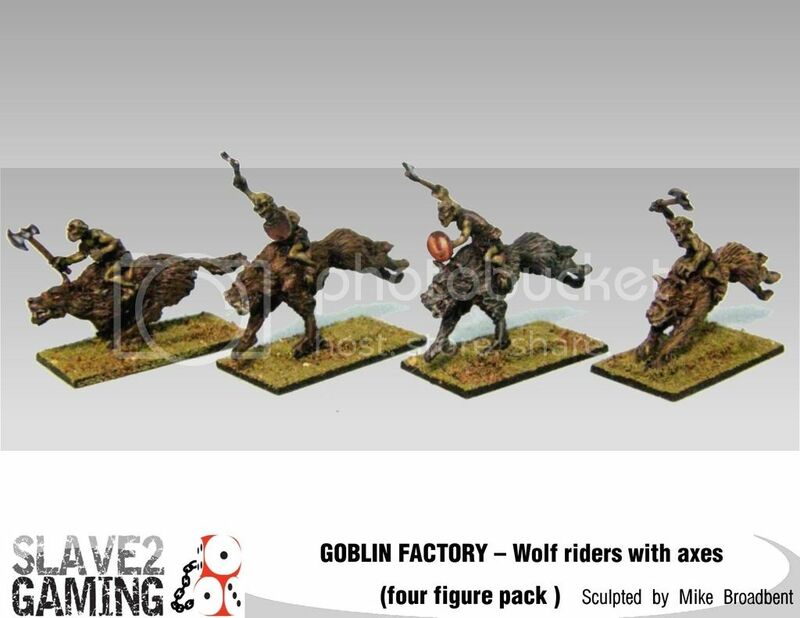 Today we announce the arrival of the first wave of GOBLIN FACTORY miniatures. 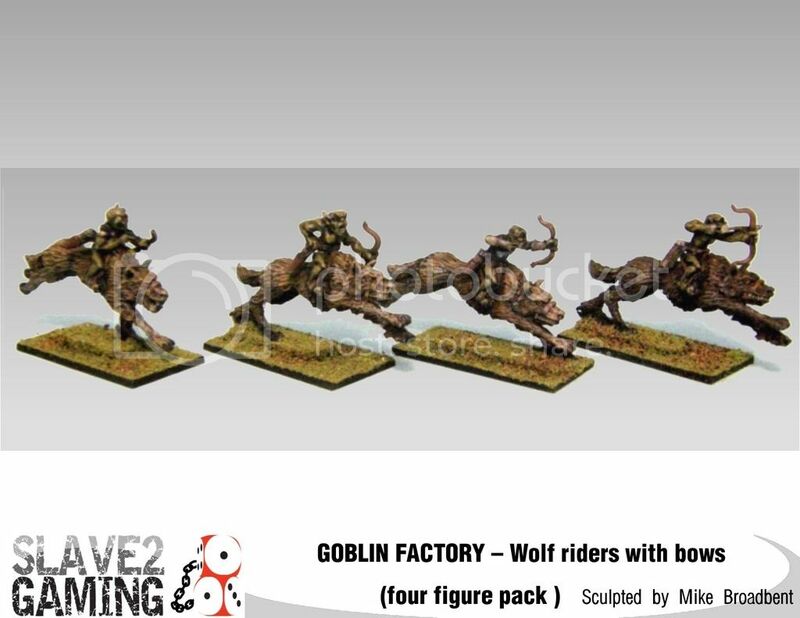 This release see’s the Goblin Wolf riders becoming a part of the standard range of Slave 2 Gaming miniatures. 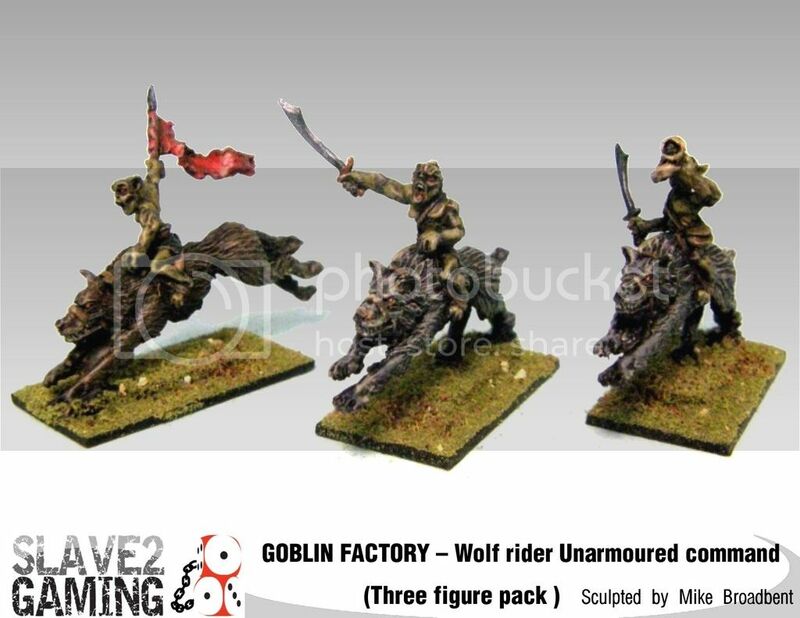 These fantastic miniatures were sculpted and painted by Mike Broadbent for Don at Goblin Factory. 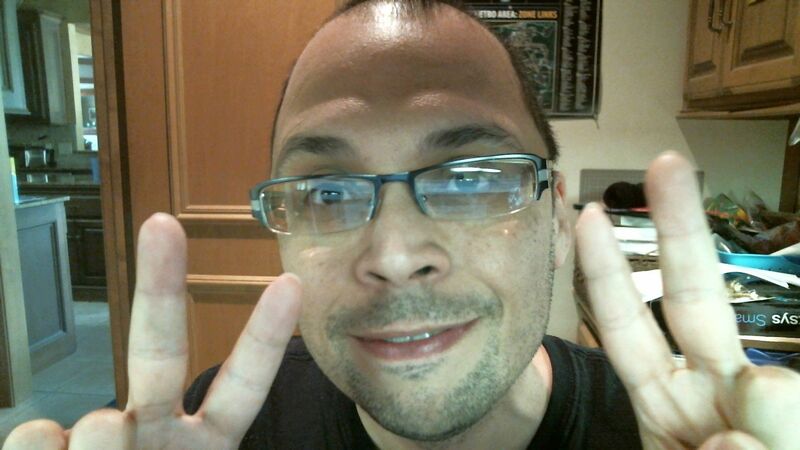 However, life has gotten in the way so we’ve offered to keep this great range alive. This release has six packs, two of these are command packs. 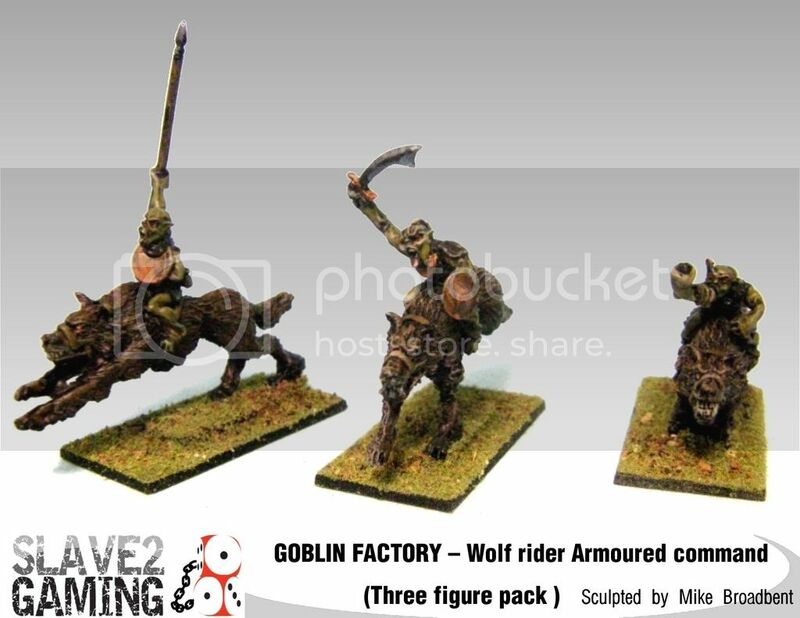 Then we have Goblins with axe’s, spears, bows and swords. 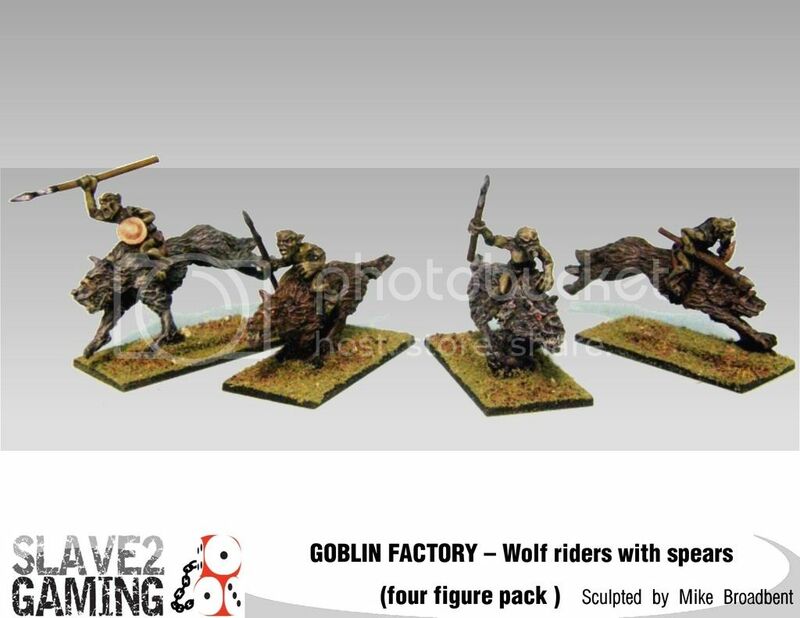 The figures are sold in small packs which are good for Role-players or Skirmish gamers, with each pack containing different, individual, unique figures. 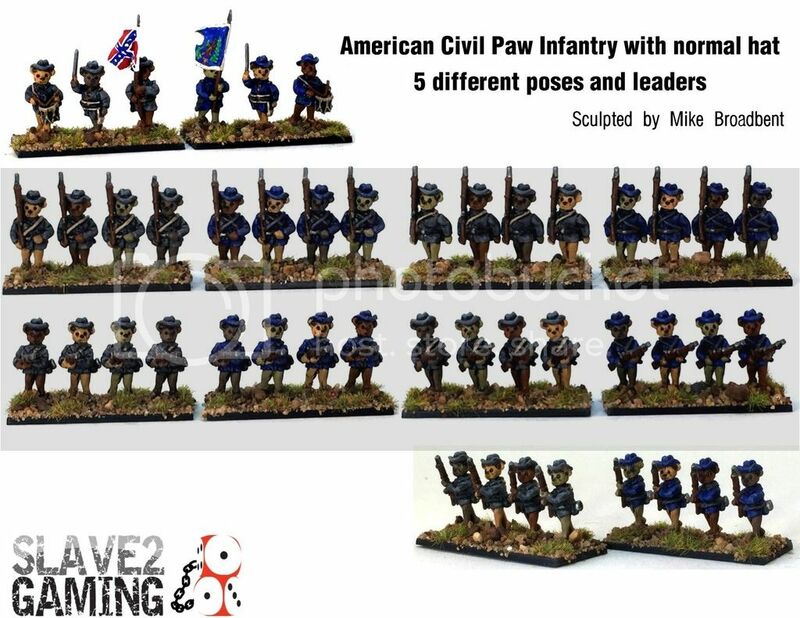 The prices are low enough to justify making larger scale armies for games such as Kings of War. 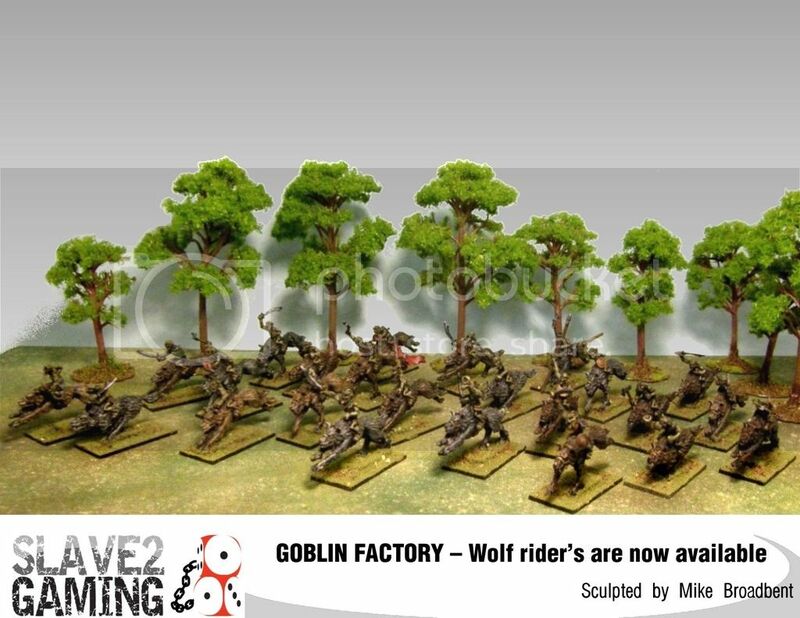 The goblin Factory range is quite extensive and we do plan to bring out all the Goblins as well as the Half-men (Halflings) and the Kobold range. This may take some time, however. If you are wanting other parts of these ranges, we are ready to cast most of the range, just contact us and we can sort out what you are after.